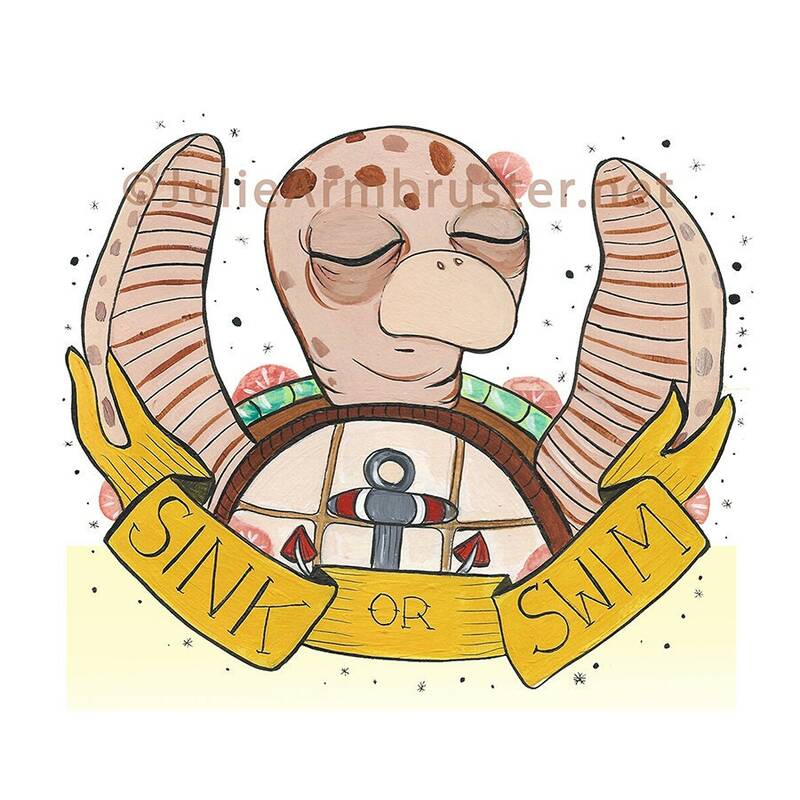 Sink or swim is a digital print on cardstock. 10x10 inches. comes with an acetate sleeve and foam backing. Based on a true story about a sick sea turtle who checked herself into a coastal turtle sanctuary. This brilliant survivor delights in her confidence and resilience. Instead of making excuses or wallowing in the despair of illness, she makes a bold and brave decision to get the help she needs to live on. This image inspired a song by Dulci Ellenburger.